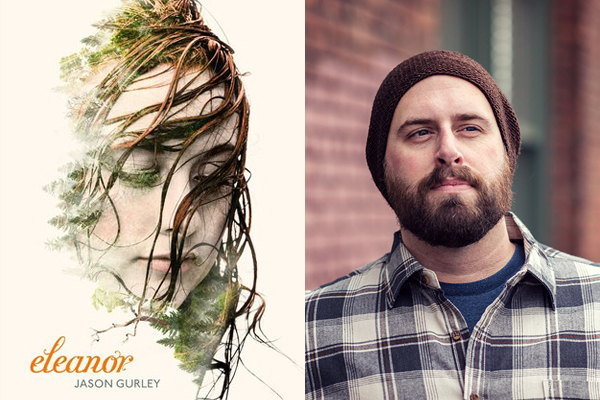 Jason Gurley’s Eleanor is a literary fantasy novel that follows the lives of identical twins Eleanor and Esmeralda, whose lives are affected not only by misery, tragedy and unlikely circumstances, but they are moulded by otherworldly, fantastical events. Don’t be discouraged by the fact that Eleanor is classed as a fantasy novel. At first I was deterred and didn’t know what to expect. But Jason Gurley has constructed wonderful prose and a lot of this novel is set in a contemporary, American town. The novel travels across a few different time periods so that the reader can understand numerous tragedies that befell the Witt family. At the beginning of the book, we’re introduced to a young five year old girl called Eleanor, who’s mother enters the ocean for an evening swim and does not resurface. But the novel is not about this Eleanor, but her granddaughter, also named Eleanor. Years later, in 1985, the granddaughter Eleanor is in a car accident alongside her mother Agnes and her twin sister Esmerelda. Her twin sister is unfortunately killed, and over the next eight years, Agnes’ guilt, resentment and shame drives her to become a withdrawn, alcoholic mother who blames Eleanor for the death of Esmerelda. What begins as a beautiful, heartbreaking coming-of-age novel about Eleanor taking care of her sick mother and trying desperately to still live a normal life soon becomes quite a different novel. Eleanor’s life is disrupted when she starts disappearing in front of her family and friends, losing time as she is transported to another world. In this other world, Eleanor meets Mea, who lives in a fish bowl where she can see all of time and space. The reader is also introduced to The Keeper, a woman who holds omnipotent power over a grey forest and resents Eleanor for invading her domain. At first, Eleanor’s disappearance and transportation to these other worlds seems to be conceived by an unrestrained imagination. But as the reader delves further into the book and the complex make up of the family timeline, we realise that Eleanor really is being transported to a ‘limbo’ world in which her sister Esmerelda ended up when she was killed in the car accident eight years earlier. Jason Gurley has crafted a dysfunctional family with smooth, easy to read prose. Eleanor’s family is fractured over the eight years since Esmerelda’s death, and when Eleanor is unknowingly transported out of her contemporary, ordinary world into the strange and dreamlike world that her sister now inhabits, she is confused and doesn’t know what is happening to her. She is injured quite significantly every time she is transported back to her world, and so much time has passed that she finds it extremely difficult to explain her absences. Despite being a beautifully written, well-rounded novel, the alternate timelines and the interchange between worlds forms a disjointed narrative. The reader is left confused at times, uncertain about the hidden meaning or significance of certain plot points. Some sections of the novel, particularly the chapters following The Keeper, seem undeveloped and the constant interchange between worlds jolts the reader and disinterests them. The story did feel like it dragged on a little bit, and I found myself wishing it would end about 100 pages before it actually did. 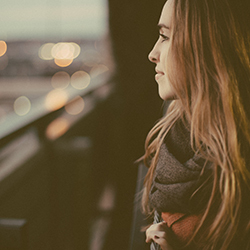 Eleanor is a novel that plays with time, and it explores grief, circumstance, consequences and family. It is certainly an intriguing, daring novel with both literary elements and fantasy fiction tropes. The characters are engaging, dimensional and raw – I’d recommend Eleanor to fantasy readers and also literary fiction readers who aren’t deterred by the fantastical elements woven throughout.